Here is an 1920's antique navy blue French lace trim. 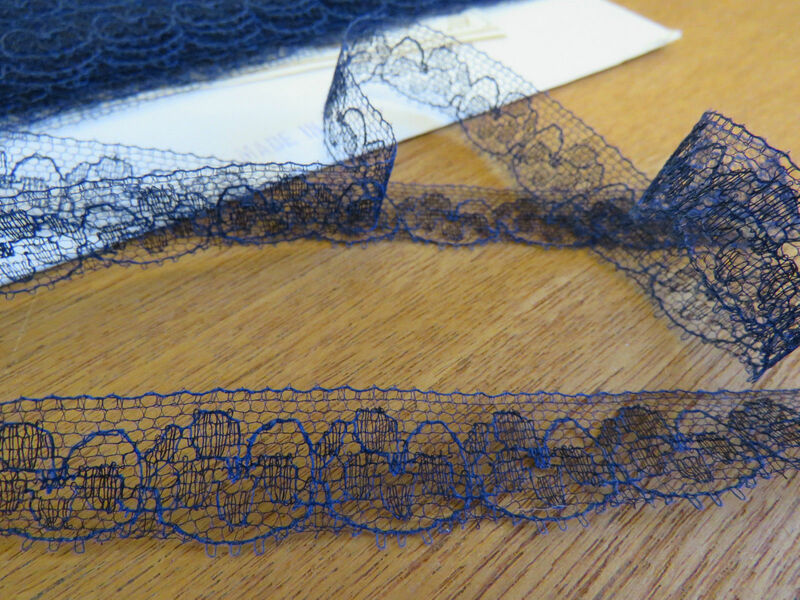 The antique French lace trim has a design through the lace & the lace has tiny picots at the bottom of the lace edge. Antique French Lace Trim Measurements: 36" x 5/8"
Color: The antique French lace trim is a dark blue like a navy or midnight blue shade. Material: Unknown. The antique lace trim is stiff. The antique French lace trim was on the original card & labeled Made in France. The photo of the cardboard is just to show original information. There is no cardboard included with any of the lace purchases on this listing. Antique French Lace Trim Condition: Very good unused condition. I saw no faults with the lace.